Trailwood Storage North is located just north of the Lufkin Loop 287 on Highway 69. 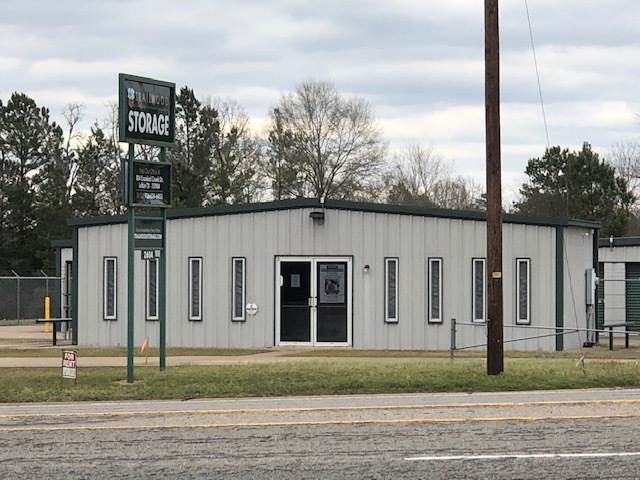 Our facility is perfectly located to provide personal and commercial storage solutions to anyone in Lufkin, Pollok, Nacogdoches, Wells, Alto and Rusk. You can find us right next to Big K’s Bar and Grill. If you’re ready to rent a unit, check the availability below or give us a call. We enjoy being in the self storage business and we look forward to being the solution to all of our customers storage needs. Customer service is one of our most valuable asests, so we go above and beyond to make sure everyone gets exactly what they need. If you need a place to park your RV, car or boat, we’re the best place for you. Our parking spaces are uncovered, but feel free to purchase a vehicle cover for protection. Our units are drive-up accessible so loading and unloading your stuff won’t be too much of a hassle. Try not to concern yourself with how safe your belongings are. We’ve made sure to invest in the highest quality video monitoring system. Our facility is under 24 hour video surveillance, gated and fenced.